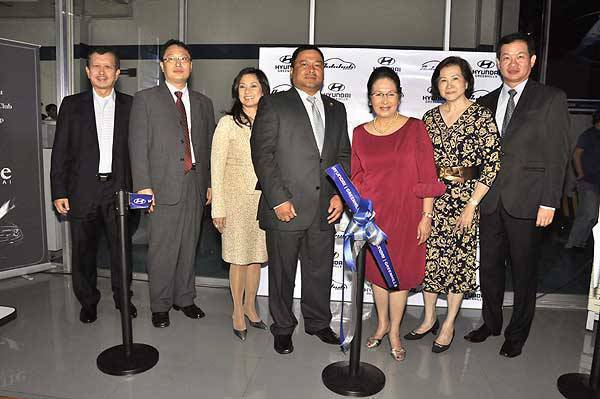 Autohub Group formally inaugurated last week its newest dealership, Hyundai Greenhills, making it the group's second showroom for the Korean brand after Hyundai Global City. Apart from Hyundai, Autohub maintains a formidable automotive portfolio that includes such brands as Mini, Ford, Nissan, Piaggio, Vespa and Gilera. It also manages other car-related businesses like Gates (LPG kits), ACCS (parts and accessories, body and paint, and mechanical repairs), and Click Auto Rental and Leasing. According to Autohub president Willy Tee Ten, among all the Hyundai dealerships in the country, only Hyundai Global City and Hyundai Greenhills are offering the following Autohub exclusives: hot or cold towel upon entering the showroom; tandem technician (service is twice as fast); express waterless wash and wax (in just 15 minutes) upon entering the service bay; 24/7 towing service; zero-percent participation on vehicle insurance; and a five-year extended warranty. Present during Hyundai Greenhills' ribbon-cutting ceremony are Congressman JV Ejercito, San Juan City Mayor Guia Gomez, Hyundai Asia Resources Inc. (HARI) president and chief executive Fe Agudo, Hyundai Motor Company Asia-Pacific general manager Kee-Moon Kang, Autohub Group chairman Benita Q. Tee Ten, HARI chairman emeritus Richard Lee, and Autohub Group president Willy Tee Ten. Hyundai Greenhills is located at 324 Ortigas Avenue in North Greenhills, San Juan City.